So much of what we know about Judaism today comes down thru the Davidic Dynasty, Brandes takes a stab at what the world may have looked like from side of the Northern Kingdom. I am 100 pages in and cannot put it down. Would love to hear your thoughts on this amazing new book. Sounds like a very interesting book. 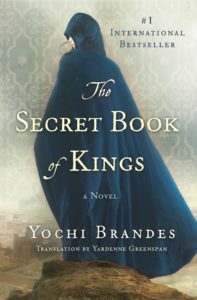 Does this book attempt to guess what stories are in the Annals of the Kings, which is so often referenced in the Book of Kings? For example, 1st Kings 15:23 reads, “All the other events of Asa’s reign, and all of his exploits, and all his actions, and the towns that he fortified, are recorded in the Annals of the Kings of Judah.” It would be amazing to really know what was written in those Annals of the Kings.